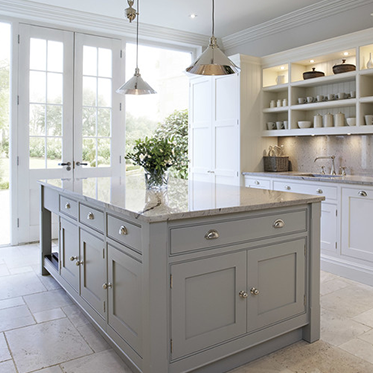 Our acrylic solid surface benchtops will enhance the appearance of any kitchen or bathroom. These benchtops are available in several different colours and a wide range of edge profiles and inlays for your sink. These benchtop surfaces are made from acrylic resin, designed to be seamless, resilient and available in a variety of colours, including mixing in strips and flecks of other colours. Acrylic can be shaped into any design and is hardy enough to avoid developing cracks or other signs of water damage from splashback. Nowhere else will you find an easy-to-maintain and cost-effective surface that offers you such variety in colour and style. Our acrylic benchtops can be customised to suit your kitchen or your bathroom with ease. For example, a bathroom sink can look stunning with a seamless basin, while a kitchen will be more appealing and practical with our under-mount sinks, complete with drainer groves for the after-dinner washing up.